One of my favorite plays is Les Miserables. It is a moral tale of a man who was imprisoned for stealing a mouthful of bread. Bread is a necessity. Jean Valjean stole the bread for his starving niece. It was a matter of life and death. Manna (bread from heaven) was sent to keep the Israelites alive. Ezekiel ate bread as part of the instructions to demonstrate a prophecy of YHVH! Yeshua renewed the Covenant with a meal of bread and wine. These are only a few instances when bread is mentioned in the Bible. What is the bread of heaven, and can we still eat it today? Gen_14:18 Then Melchizedek, king of Salem, brought out bread and wine—he was a priest of El Elyon. The first mention relates how Abraham shared a covenant meal with Mechizedek, king of Salem. That seems very familiar, doesn’t it? Where do we see this sharing of bread and wine again? The sharing of bread is throughout the scriptures! Often it is part of a covenant meal, and it is integral to the sacrificial system. There was even a table of bread (showbread) that was a permanent fixture within the Temple! Keeping the bread before the Father was a commandment! But, I thought bread was just to fill our stomach. 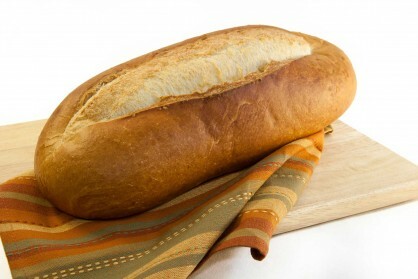 We’d die without some kind of ‘bread.’ The Father knows this. He even rained bread (manna) from heaven to sustain the Israelites in the desert. Without the manna they would have died in the wilderness. Exo_16:15 When Bnei-Yisrael saw it, they said one to another, “What is it?” For they did not know what it was. Then Moses said to them, “It is the bread that Adonai has given you to eat. The Father himself sent bread to the House of Israel (Bnei-Yisrael). The curious thing is, He told Moses beforehand that he would rain bread from heaven. He even told Moses WHY! It was more than grace! It was more than kindness! It was more than just being a good Father! It was a TEST! How was it a test, you may ask? He used the manna to see whether it was in the heart of the Israelites to observe the Sabbath day! Apparently, they had forgotten about the Sabbath day (it was declared holy and set-apart at creation)! YHVH used the manna to reintroduce the Sabbath day to them! They were given a double-portion that would not spoil on the 6th day so that they could eat without working for it on the 7th day Sabbath! YHVH uses the simple things of life to teach us the big picture. Bread is a kind of bridge between the Father and His children! It is something we can touch, hold, taste and grow on! He never wants us to forget that He is the provider of our bread! He made it part of the Tabernacle! Exo_25:30 Always set the bread of the Presence on the table before Me. It is part of Passover! Lev_23:14 You are not to eat bread, roasted grain, or fresh grain until this same day—until you have brought the offering of your God. It is a statute forever throughout your generations in all your dwellings. Why is it so important? He tells us that the unleavened bread will remind us of his salvation from slavery in Egypt! Deu_16:3 You are not to eat hametz (leaven) with it. For seven days you are to eat matzot (unleavened bread) with it, the bread of affliction—for you came out from the land of Egypt in haste. Do this so that all the days of your life you will remember the day when you came out from the land of Egypt. Are there any other clues what bread might be a symbol for? There is a story of a prophet of God in 1 Kings 13. He was told not to eat bread nor drink water in Bethel nor to return by the same way. He disobeyed the word of the Lord and was killed by a lion. Is this a parable or lesson? What is this about, and why was he told not to eat bread or drink water in Bethel? When I read this now, I see how the prophet delivered a message to the King in Bethel. You remember him? He’s the king that changed the Feast days and erected a golden calf so that the Northern tribes would not need to return to Jerusalem for the Father’s feast days. He set up his own religion, apart from the commandments of YHVH! The prophet was told not to eat bread or drink the water and not to return by the same way! Is it just me, or is there a message in this passage? What bread were they eating in Bethel? Were they washed by the water of the Word? And, just like Lot’s wife, the prophet was told not to return by the same way. This all seems rather random until the prophet is tricked into thinking the man that met him on the road had a better word from the Father. He lied to him and said that God told him to return and have a meal! He listened to the message from the man instead of the word from YHVH and it cost him his life! And it gives us a lesson! Perhaps it is to say that the pure bread of heaven does not come from man. It doesn’t come from a perverse religious system that contradicts the instructions of YHVH. It isn’t found in changing the Feast days or manner of worship commanded by our Father! Pro 9:5 “Come, eat my bread and drink the wine I have mixed. This suggests that the ‘way of understanding’ is found by eating and drinking His bread and wine. Deu_8:3 He afflicted you and let you hunger, then He fed you manna—which neither you nor your fathers had known—in order to make you understand that man does not live by bread alone but by every word that comes from the mouth of Adonai. So, may we equate bread with the Word? Can we Profit from the Prophets? Do you remember the prophet Ezekiel? His name is prominent on the cereal aisles at the grocery store! What is Ezekiel bread? And what has it got to do with the word of YHVH? If you do a word search of bread, one book that will give you a lion’s share of hits is Ezekiel. The curious part of Ezekiel’s strange and embarrassing task is found in chapter four. YHVH instructed Ezekiel to lie on one side for over a year! He was to be naked and to make matters even more humiliating, he was instructed to bake his bread (a recipe that was provided for him) on human dung! He protested to the Father! He had never eaten ‘defiled’ bread! So, the Father amended the instructions so that he could bake his bread on cow dung instead. Are you curious why the bread was originally to be baked on Ezekiel’s own excrement? What is the picture that the Father is trying to paint here? There is more to the story, but the bread is what concerns me in this article. Eze_44:7 You brought in foreigners, uncircumcised in heart and uncircumcised in flesh, to be in My Sanctuary, to profane it—My House—when you offer My bread, the fat and the blood. They have broken My covenant, to add to all your abominations. So, it seems that Ezekiel was to show how they had profaned the Father’s House! They had broken His covenant! Defiled His Bread! It’s as if they had baked the Father’s bread on human dung! Amo_8:11 “Behold, days are coming”—declares my Lord Adonai—“when I will send a famine on the land—not a famine of bread nor a thirst for water, but of hearing the words of Adonai. A famine! Not of bread, but the words of YHVH! Isa 55:1- 3 “Ho, everyone who thirsts, come to the water, and you who have no money, come, buy and eat. Come, buy wine and milk without money and without cost! Why do you spend money for what is not bread? Your wages for what does not satisfy? Listen diligently to Me, and eat what is good, and delight yourself in abundance. Incline your ear and come to Me. Listen, so that your soul may live. I will make an everlasting covenant with you, the trustworthy loyalty to David. What did Yeshua say about bread? Mat 16:7-12 And they began to discuss among themselves, saying, “We didn’t bring any bread.” But knowing this, Yeshua said, “O you of little faith, why do you discuss among yourselves that you have no bread? You still don’t get it? Don’t you remember the five loaves for the five thousand, and how many baskets of leftovers you gathered? Or how about the seven loaves for the four thousand and all the baskets of leftovers you gathered? How is it that you don’t understand that I wasn’t talking to you about bread? Then they understood that He wasn’t talking about the hametz in the bread, but about the teaching of the Pharisees and Sadducees. Yeshua reminded his disciples of the significance of bread. Joh_6:32-35 Yeshua answered them, “Amen, amen I tell you, it isn’t Moses who has given you bread from heaven, but My Father gives you the true bread from heaven. Yeshua said to them, “I am the bread of life. Whoever comes to Me will never be hungry, and whoever believes in Me will never be thirsty. All of a sudden, the bread that sustains our life on earth is explained by Yeshua to be life eternal! He, Yeshua, is the bread of life! So we have come full circle. The Bread was provided by the Father to sustain us. The bread is to remain in the Tabernacle and be un-defiled by man-made doctrines. The Bread is the Word of YHVH. The Bread is shared in the covenant meal, just as Abraham shared it with Melchizedek. 1Co_10:16 The cup of blessing that we bless—isn’t it a sharing of Messiah’s blood? The bread which we break—isn’t it a sharing of Messiah’s body? 1Co_10:17 Since there is one bread, we who are many are one body—for we all partake of the one bread. And now, we understand what the bread represents! Don’t we?